How can you reduce your car expenses? Here are 6 quick and easy steps to reduce your car maintenance costs. Follow these steps, some of which require you to make simple repairs. More complicated issues should be handled by a professional. If your car is in need of more than simple, basic repairs then call us for help. Dirty cars are not only unattractive, they are in danger of losing value. Rust, salt, and other contaminants damage the exterior of a car that is not cleaned regularly. Don't treat the interior of your car any differently from your home. Most people would be embarrassed to invite guests into a dirty home, yet we often see cars whose interiors are like mobile garbage cans. Not only is allowing your car to accumulate dirt embarrassing, it makes cleaning that much more difficult when you finally get around to it, and it lowers the value of your car when it's time to trade it in. If you are planning a thorough cleaning, consider our auto detailing service. Check your oil level frequently. Many ownership manuals recommend checking levels every time you gas up, although every second or third time is usually sufficient. Follow your manual's recommendations for regular oil changes. Failing to change your oil and air filters may save you a few dollars in the short run, but it will cost you more in the long run. Read our post about oil changes entitled, "Car Oil Change - What Happens If I Am Past The Limit?" Tires with low air pressure are more susceptible to damage and wear. Buy a tire pressure gauge, they are relatively inexpensive and check each tire about once a week. If you don't want to buy a gauge, most gas stations have an air pressure unit that you can use. You will find your car's recommended tire pressure on a label inside the driver's door. Check the tread for wear and damage. Most tires last for 80,000 to 100,000 kilometres but under-inflated tires will not last as long. Damaged bulbs are generally not difficult to replace. Holding off on replacing a bulb can be dangerous for you and other drivers on the road, and can result in a ticket. Visit an auto parts store or the auto section in a good department store. Stores will often have a helpful chart to assist you in finding the correct bulb. Many owner's manuals will demonstrate how to replace a bulb. Modern vehicles have an array of sensors that monitor your car's performance. These sensors relay information to your car's computer, which will respond by illuminating warning lights on the dashboard. Ignoring these warning lights can result in serious damage to your vehicle, and potentially leave you stranded. Unless you choose to purchase a diagnostic code scanner, the only way you will find out what the problem is, is to take your car to an auto repair shop. If an electrical component fails, it may be the result of a blown fuse. Fuses are intended to protect electrical components by acting as the weak spot in a circuit. Locate your fuse box. Most often they are located inside the car on the driver's side - check your owner's manual if you are not sure. A damaged fuse will usually be easy to spot as the metallic portion will be broken or burned in appearance. Simply pull out the damaged fuse and replace. 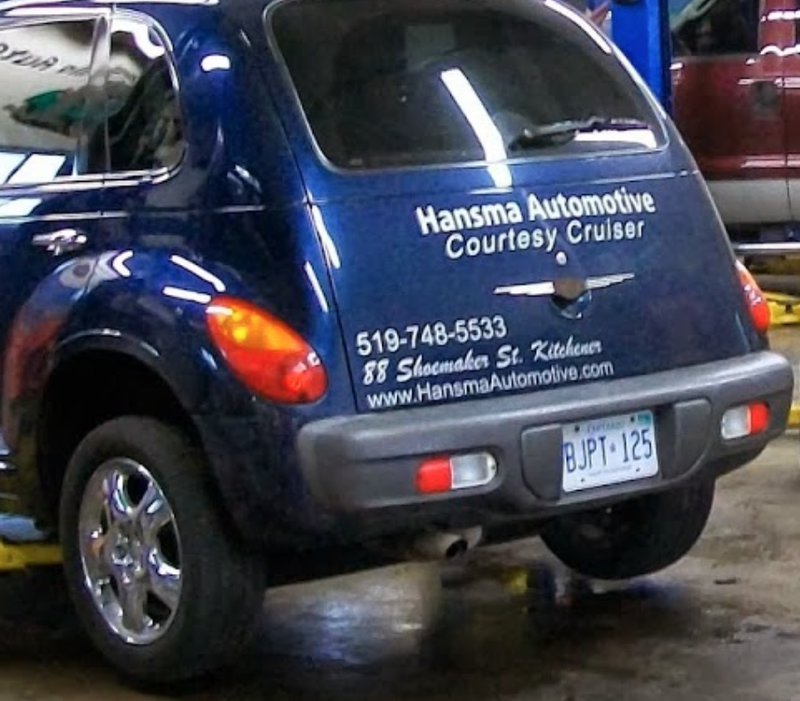 Bring your vehicle to Hansma Automotive, where we care about you and your car. We truly believe in honesty, reliability, and exceptional service. Hansma has been in operation since 1987 and we are proud to have established a trustworthy reputation with our clients. Most of these car maintenance steps will take a couple of hours or less. You will find us located at 88 Shoemaker Street in Kitchener, Ontario. Posted on June 17, 2016 by Hansma Automotive..